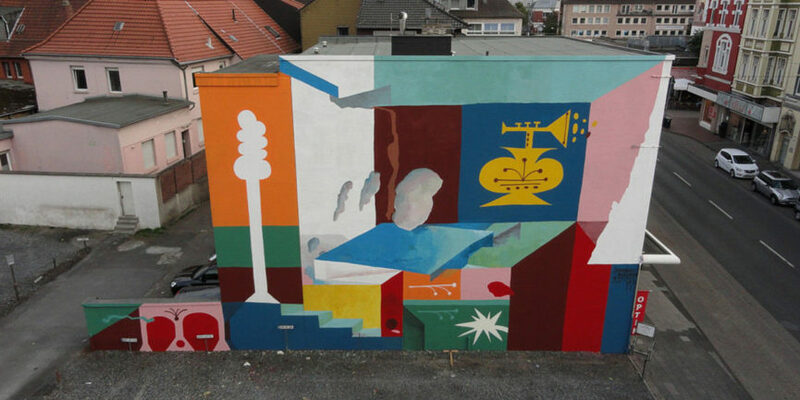 For this mural, Johannes Mundinger collaborated with the artist collective 44flavours, consisting of Sebastian Bagge and Julio Rölle. The painting happened in Hamm, Germany, organized by UFAM Ruhr. UFAM Ruhr is a festival, happening in five different cities within the German Ruhr area. 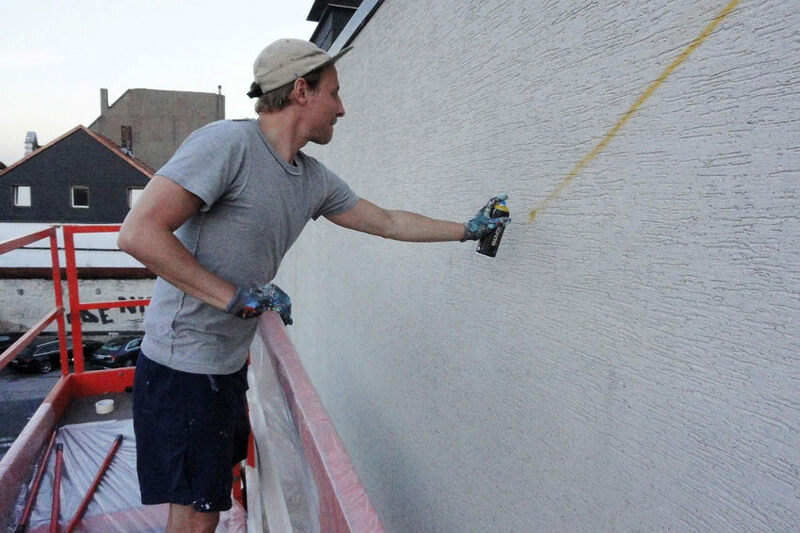 Thirty artists are invited to paint walls, do performances, and give workshops. These activities are complemented by exhibitions showing the work of the participating artists. 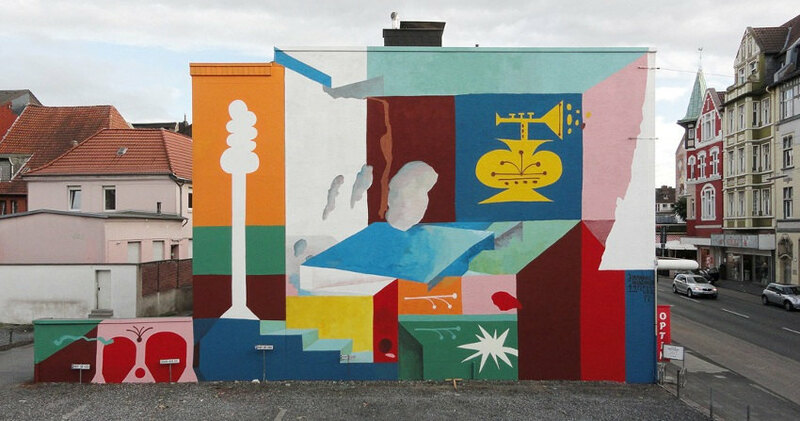 This mural was their first collaboration on a wall, even though they have previously participated in lots of exhibition and events together. But, working on one single piece is always another step. 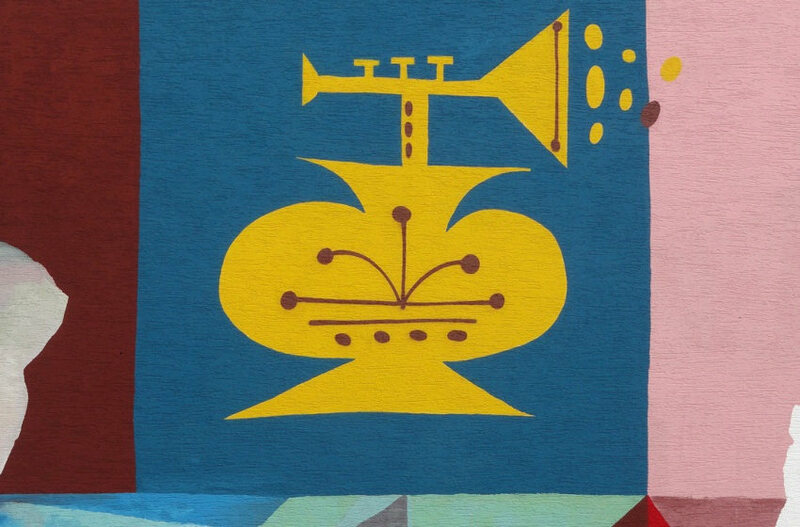 For this mural the artists improvised a lot, having just a rough sketch, a vague composition, the whole motive appeared and was developed only while painting.